Traveling through Bulgaria is interesting because, in addition to no things working quite as they should, guidebooks are futile attempts to capture what is and what does not exist anymore. 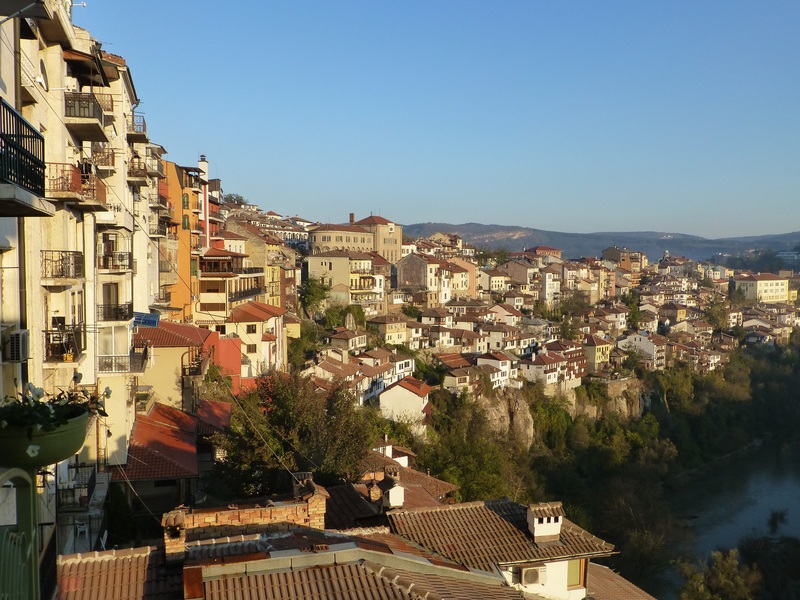 In Veliko Tarnovo, the monuments were still there, but hunting down the restaurants that Lonely Planet recommended were trickier. Except that pizza place. The pizza was good. The chaos and uncertainty of finding a place for a meal, however, turned out to be luck. I set out from the hostel with Joe, a friendly Australian from Tasmania. Dude had spent some time as a hiking guide in Slovakia, taking whoever groups through the Tatras. He was making his way toward Istanbul. Travel around Europe long enough, and Australians become more common than any European. They’re working in the U.K., or taking a gap year, or not paying back their student loans. I had to figure out the difference between between Melbourne and Brisbane, then act like I’ve always known the capital was Canberra, not Sydney. And that Macca’s is acceptable slang for McDonald’s (it’s not). So Joe and I look for the restaurant. In vain. Nothing is left of where it should be. So the search begins anew. We wandered into a Bulgarian pub, called a mehana (механа), and we struck gold. By law, and as a member of the European Union, Bulgaria has banned smoking in most public areas. By social practice, smoking hasn’t ceased, and this mehana hadn’t been aired out since the 1950s, give or take. The smoke was thick, and the crowd was loud. Only five or six patrons were there for lunch, but they were regulars and sounded like 15. As the noise died down and we sat ourselves, one of them approached us. He was the waiter/owner. Middle-aged, plump, his brown hair in its early stages of baldness. Once I spoke, he raised his eyebrows. He ran over to the table of regulars in the corner and manhandles one. The owner made us feel at home, as he perceived it to be. English music must blare through the speakers. Soon, the place was thick with smoke and The Rollings Stones, Abba, and The Beatles. None of which were American. But hey, intention mattered more than execution. The meal was delicious. Some sort of dry stew with meats, vegetables, and unidentified spices delivered in a brightly colored pot. A lamb kebab on the side. Veliko Tarnovo as a city didn’t interest me as much as Plovdiv or Sofia. Tourist sites can only grab attention for a day or two, though the city is well-placed as a base to visit small towns in the region or defunct communist buildings such as Buzludzha. The Yantra River carves up the city, which produces scenic views from the hills. Houses are built overlooking the strange coils of the water, and the graffiti adds some character to the otherwise-bare walls. Stray dogs wander the streets, but they aren’t a nuisance. The art museum is worthwhile, as is Tsarevets Fortress for the grotesque murals inside the Church of the Blessed Saviour if nothing else. The murals, a gruesome mixture of socialist realism to align Orthodoxy with the state, show no remnant of piety or humility. Only a feverish nightmare that hollows out the original paintings. I made a mistake in leaving. Trains are not to be trusted in Bulgaria, and I was a fool for not catching a bus to Bucharest. Two weeks in Bulgaria weighed on me, and I looked forward to seeing Romania. The train was delayed for eight hours. A long, unremarkable layover in Gorna Oryahovitsa with a Korean girl, then joined at night by a Brazilian man, led to the night train to Ruse, a city on the border. When boarding, the unusually jovial conductor sold me a ticket to Ruse, and told me to buy a ticket to Bucharest from there. Upon reaching Ruse, however, that proved difficult. When I asked the new conductor for a ticket, he disappeared. Feigning sleep until we reached Bucharest succeeded, and I made it to the capital as a free rider. The only disturbance was, roughly 45 minutes outside Bucharest, when I woke up to a cacophony of noise and people. The early train into the city is a routine fight, with dozens scrambling for seats and falling over one another. A triumphant middle-aged man sat beside me, his smile dominating his face. Bulgaria is best seen outside of winter. I’d like to spend more time hiking in the countryside. The mountains that I passed were beautiful. The infrastructure can be frustrating, especially for Bulgarians. Unexpected difficulties should be expected, and the Bulgarians I met were cynical about the political system improving much. That helps explain why there’s more Bulgarians working abroad than working in Bulgaria. 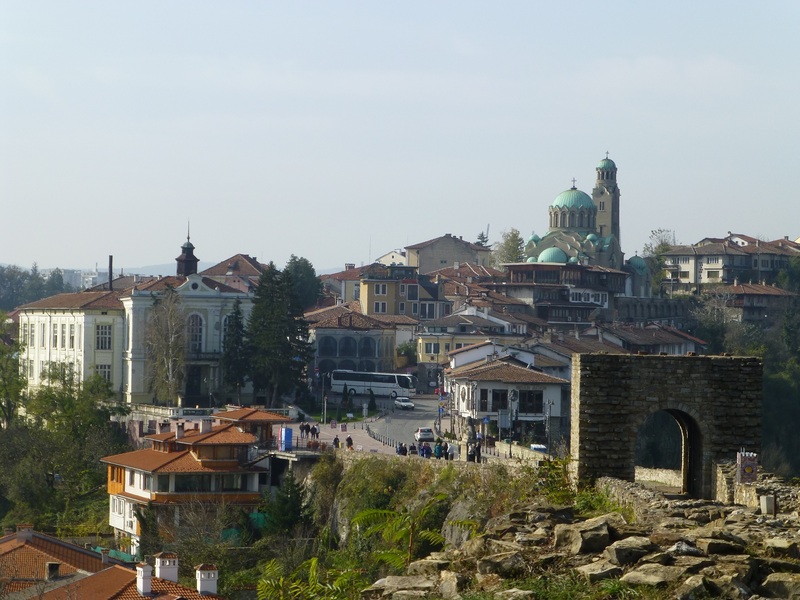 The upshot is that Bulgaria is an affordable place to visit and the people are interested in why someone would visit Bulgaria. The downside is that Bulgarians themselves can’t catch a break.